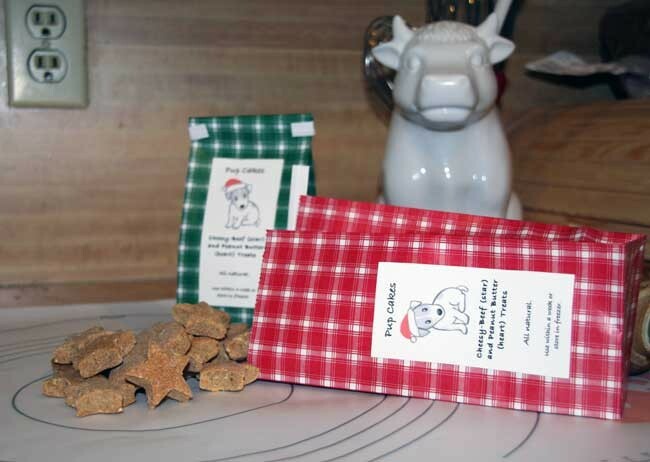 I baked up two batches of doggie biscuits a few weekends ago as part of a Secret Santa gift exchange at work. A single batch makes plenty, but I wanted to try out two varieties and figured that I could gift the extras to my puppy-lovin' friends, too. I used the Dog Treats I recipe from allrecipes.com. (I use this site a lot for new recipes, and I rely heavily on the reviews.) The recipe as listed makes "cheesy-beef" treats, and following the suggestions of many reviewers, I made the alternative peanut butter variety. The recipe worked up as promised and the dough was easy to roll-up, which is nice because I'm not so great at the rolling pin portion of baking. I used two of my small, bento "cookie" cutters, a star (cheesy-beef) and a heart (peanut butter). 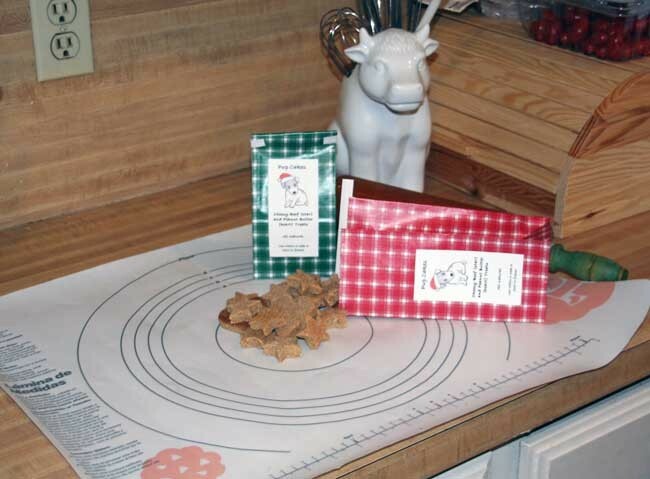 I have no puppies of my own to taste test these treats and the neighbors weren't home either to lend their dogs. (I thought about simply 'tossing my cookies' [ha ha] over the fence, but figured that may not go over so well if caught.) Our cats seemed to enjoy the cheesy-beef flavor well enough: Walter licked at his a bit, Marie gummed a few pieces until it was mush, and Dil nom'd hers down in no time flat. Add Scout and Roo to the list of a taste testers offering 2 dew claws up. They have sensitive tummies, but had no trouble with these. Their treats are long gone.